A team comprised of 5 Masters in International Finance students from NUI Galway has won the Chartered Financial Analysts Ireland 2014 Research Challenge. The Research Challenge is an annual global competition that provides university students with hands-on mentoring and intensive training in financial analysis. Students gain real-world experience as they assume the role of a research analyst and are tested on their ability to value a stock, write an initiation-of-coverage report, and present their recommendations to a panel of leading financial services professionals. Speaking after their win, the team said that they had taken a very positive view of Ryanair plc. Anthony Patrick Saoud said their analyses suggested a potential share price of some €9.05 a share – an upside of 24% on the current share price. The team also indicated that they believed that Ryanair had secured an “incredibly strong” competitive position in the airline market in Europe and that current changes in the positioning of the company would lead to income growth from new charges. The President of the CFA Society Ireland, Ronan McCabe paid tribute to all the teams which took part in the exercise; “NUI Galway really had to earn their win this year as the overall standard of all the teams competing was exceptionally high.” Mr. McCabe thanked Ryanair for its willing participation in the competition as the company under review and Davy Stockbrokers who sponsored the competition. The winning team will now go on to compete in the European Middle East Africa (EMEA) Finals of the competition in Milan in early April. In addition to NUI Galway, teams from Trinity, UCD, UCC, Dublin City University, and Queens University Belfast took part in the Irish leg of the competition. Two of top three places in Chartered Accountants Ireland Examinations to NUI Galway Aisling Curtin (2nd place) and Sarah Finnegan (3rd place) secured two of the top three places in the Final Admitting Examination of Chartered Accountants Ireland in 2012. Both students completed their undergraduate degree (BComm) and postgraduate degree (Master of Accounting) in NUI Galway. They are now employed in KPMG, Galway. Despite the current economic environment, the employment market for accounting graduates is excellent at present and 48.4% of all graduate jobs are in the Accountancy and Financial Management Sector, according to Gradireland 2012, graduate salary and recruitment trends survey. Virtually all students on the Master of Accounting programme have secured employment before they finish the programme. The small class size on the Master of Accounting programme is ideal for developing excellent interpersonal skills and enabling an in-depth understanding of technical issues and alumni from the programme have been very successful over the years in professional accountancy examinations. Bachelor of Commerce graduate and Executive Vice President of The Coca-Cola Company, Irial Finan took time during a business trip to Ireland this week to visit his Alma Mater, the J.E. 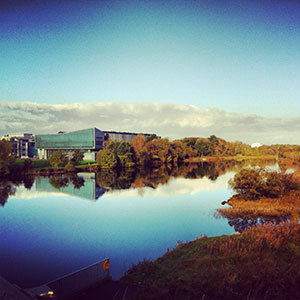 Cairnes School of Business & Economics at NUI Galway. Mr Finan, who is also President of President of the Bottling Investments Group and Supply Chain, was on hand to talk to students of the Masters in International Management, passing on his valuable expertise in the arena of international management. The Roscommon native is responsible for managing a multi-billion dollar internal bottling business, the Bottling Investments Group (BIG), which has operations on four continents, with revenues of over $8 billion and employs in excess of 60,000 people. Additionally, he is responsible for stewarding the Company's equity investments. Dr Paul Ryan, Programme Director of the MSc (International Management) was delighted to have Mr Finan address the class saying, "The aim of the programme has always been to bring real learning into the class room. The insights he was able to provide, leading a company with a portfolio featuring 15 billion dollar brands, will not only stand to our students in their studies but also in their future careers." Mr Finan commented that "The Coca-Cola Company operates in 207 countries and is truly both a global and a local company. We constantly challenge ourselves to remain relevant to our consumers. The ability to do business internationally across different cultures is a key feature of my role. I was delighted to share my thoughts with students in the institution which provided a springboard for my career". Paul Kenny NUI Galway Bachelor of Commerce graduate has been praised at a glittering business awards event held recently for his “awe-inspiring” vision, innovation, and commercial achievements. The comments were made at the 15th annual Ernst & Young Entrepreneur of the Year awards at the City West Hotel in Dublin last Thursday where former student Paul Kenny was announced the winner of the ‘Emerging’ category for his online coupon company, Dubai-based Cobone.com Speaking at the awards ceremony Frank O’Keefe, Ernst & Young partner-in-charge of the Entrepreneur of the Year programme, said: “It is a privilege to have publicly celebrated Paul’s incredible achievements together with our other 2012 finalists. These awe-inspiring entrepreneurs and innovators are proven winners and significant job creators. “By developing Cobone.com and Digiweb from their earliest incarnations to the international businesses that they are today, Paul has created enterprises that have become major players within the global e-commerce and telecoms sectors. Paul acknowledges the part his education in NUI Galway has played in his success saying “The Bachelor of Commerce gave me the basis of what I have achieved today” and that “NUI Galway not only gives you an excellent education but also gives you the platform to compete on a world level.” “Digital marketing entrepreneur Paul Kenny founded Cobone.com in 2010 at the age of just 25 and in the two years since the business has achieved phenomenal growth - in excess of 30 per cent, month-on-month, to become the leading daily deal website in the Emirates and break all e-commerce records in the Middle East and North Africa region.” Following a family holiday in Dubai, Mr Kenny received a number of job offers and soon established a fine reputation in online marketing. Having successfully secured seed funding from Jabbar Internet Group, the Cobone.com business began by offering online, daily deal ‘coupons’ to consumers within the United Arab Emirates for products and services. From the outset, Cobone.com grew rapidly, soon becoming a leading daily deal website and breaking all e-commerce records in the Middle East and North Africa (MENA) region. As of April 2012, Cobone.com had saved its customers more than $50 million and sold almost one million coupons. The Chartered Institute of Management Accountants (CIMA), Business Studies Teachers Association of Ireland (BSTAI) and NUI Galway Western Region Schools Quiz took place recently in the J.E. 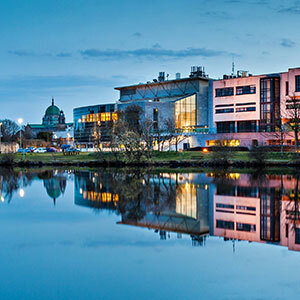 Cairnes School of Business and Economics at NUI Galway. Sixteen schools, with a total of 28 teams took part and competed from all over the west, to determine who would represent the region in the National Finals in March. The table quiz was held for Junior Certificate students of Business Studies. Brian Duffy, Chairperson CIMA West of Ireland Branch, said: “At CIMA our relationships with education providers have always been crucial. We are delighted to have a leading role in this quiz which showcased the talents of second level business students in the West of Ireland.” Professor Willie Golden, Dean of the College of Business, Public Policy and Law at NUI Galway, said: “NUI Galway works closely with its regional hinterland and this is nowhere more evident that in the J.E. 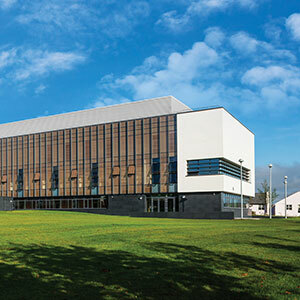 Cairnes School of Business and Economics. 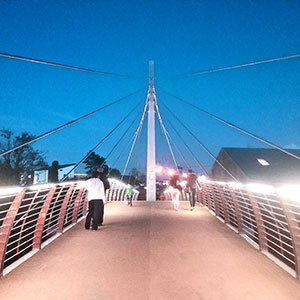 A defining part of all our student courses is the engagement with the local community. Working with the BSTAI and CIMA allows us to engage with second level students and foster their interest in business studies. I have no doubt that many of these students attending the event, will be amongst our leaders of the future.” Jennie Harrington, President of the BSTAI, commented: “I am delighted that so many business studies students took part in the CIMA Schools quiz. It is an opportunity for students to have fun while also revising for their Junior Certificate exam. I would like to thank CIMA for all their work in organising the quiz.” The winners on the night were Seamount College, Kinvara, Co. Galway, who took first place. They were followed closely in second place by Dominican College, Taylors Hill, Galway. Third place went to Presentation College, Athenry, Co. Galway. The top three teams from the regional final will now go on to compete in the National Finals, which will take place in March. 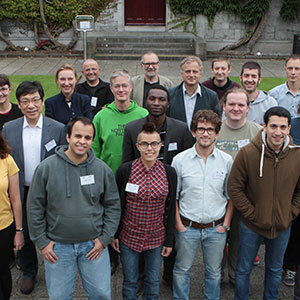 The BMW Regional Assembly together with the Socio Economic Marine Research Unit (SEMRU) at NUI Galway hosted the inaugural meeting of the MARNET project at the J.E. 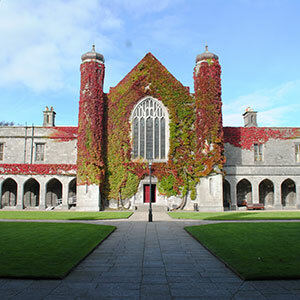 Cairnes School of Business & Economics, NUI Galway on July 11th and 12th last. MARNET (Marine Atlantic Regions Network) is a 2.5 year collaborative transnational project involving maritime regions from the Basque country of Spain, Brittany in France, Stirling in Scotland, Porto in Portugal as well as the Border Midland and West region of Ireland. The BMW Regional Assembly is lead partner of the MARNET project which will map the value of the Atlantic marine economy through the development of reliable and comparable socio economic data. The €1.3m project involves the participation of marine researchers as well as Regional Authorities across the Atlantic Area. In Ireland the expertise of the Marine Socio Economic Unit at NUI Galway will be crucial in developing a framework from which new added value activities within the marine sector can be developed to add to the 17,000 jobs already supported by marine related activities in Ireland. MARNET will also complement the integrated plan for the Marine Economy launched in February 2012 by Minister for Agriculture, Food and the Marine, Mr. Simon Coveney, TD. The Plan aims to grow the marine sector and move from generating only 1.2% of GDP from this vast and diverse marine resource, which covers an area 10 times the size of Ireland’s land mass. Local Authorities with marine interests will benefit from the MARNET project through the development of practical initiatives aimed at growing the marine sector at a local level. The Project is part funded by the ERDF through the EU Interreg Atlantic Area Programme 2007-2013. Chair of the Fulbright Commission in Ireland, Una Halligan, congratulates Dr. Stephen Hynes of the J.E. Cairnes School of Business and Economics on being awarded a 2012/2013 Fulbright Scholarship at a ceremony held recently in the Royal Hospital Kilmainham, Dublin. Dr Hynes will undertake research at the Center for the Blue Economy (CBE) in the Monterey Institute of International Studies, California, in the area of marine economics and ecosystem service valuation. A team from the NUI Galway Executive MBA class are the proud winners of the MBA Association of Ireland National Strategy Competition 2012 held in DublinSaturday 23rd June. This is an outstanding achievement for the winning team, the Executive MBA programme, the School, and the University. 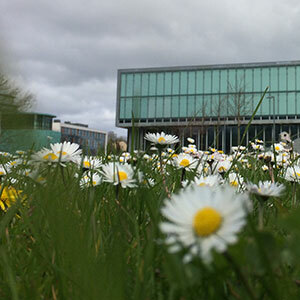 The win follows NUI Galway’s success in 2010, when it last entered the competition. The winning team members are: Myles McHugh, Suzanne Ryan, Mike Parkinson, Ashwin Kher and Roger Sweetman. “This excellent achievement is testament to the quality of teaching on the programme and I would like to congratulate all involved in teaching the 2010-2012 MBA class” said Dr Emer Mulligan, Head of School. Many of the best business schools on the Islandof Irelandtook part in the competition including the SmurfitGraduateSchoolat UCD and UCC. The competition required the team to prepare a strategic analysis and presentation on a Harvard Business Case (eBay, Inc and Amazon.com) over four hours and then present to a panel of judges. Commenting on the win by the NUI Galway team, Dr Alma McCarthy, MBA Programme Director stated that “the NUI Galway Executive MBA curriculum has a very strong focus on strategy and prepares students to excel as business and strategy analysts. Winning the MBAAI National Strategy Forum Competition 2012 reinforces the excellent teaching and learning standards provided to students on our programme”.